As promised, this is officially our first update for C-Speed Racing in this new year of 2011! First of all, we would like to wish everyone a Happy New Year! We hope that everyone had a safe holiday, and perhaps even had some time to go outside to work on their cars, whether it be to do regular maintenance, or a more involved work such as suspension and brake upgrades, or even engine swaps! We know there are motorheads out there who wouldn't waste any chance they get to go under the hood and start getting their hands dirty. Since we are already on the topic of maintenance, we think it would be appropriate to mention the brand new guide that we have created over the holidays for the Ferrari fans! This brand new Oil Change How-To Guide can be found in our Ferrari How-To Section. Feel free to check it out! We hope that this guide will encourage the Ferrari owners to always maintain their cars regularly! 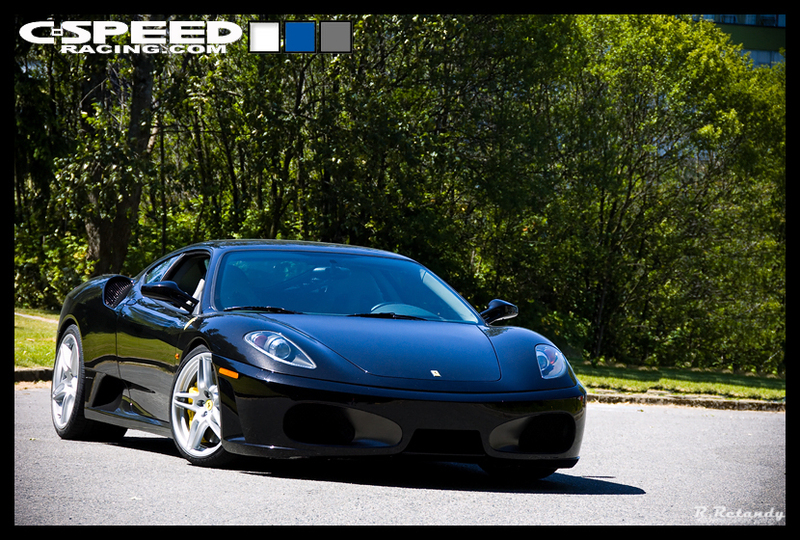 Last but not least, here's another shot to go with our latest How-To Article for the Ferrari F430. Click on the picture! This is yet another sneak preview of what's to come in the near future for C-Speed Racing. Furthermore, we already have a few projects lined-up for the new year as well, and we will start covering it very soon. Stay tuned! We are currently working on BIG updates for C-Speed! By "big" we mean: NEW projects, NEW How-To's, and last but not least, MAJOR transformation for our Media section! What you see on the right hand side is just a quick sneak peek of our comeback! The New Year of 2011 is fast approaching, and we can't think of a better time to undergo major updates for our website than the beginning of a new year! Our goal is for the new year of 2011 to be a new era for C-Speed Racing. The Team at C-Speed Racing is very excited about our upcoming transformation, and we hope that our readers are as excited as we are, and will be following us as we continue to move forward! We would like to thank everyone for your continuous support throughout the years, and do keep your eyes open as we continually update our website throughout the new year! Last but not least, The Team at C-Speed Racing would like to wish everyone HAPPY HOLIDAYS! P-cars... F-cars... L-cars! Oh My! This month we decided to feature one of our main Forum Sponsors Customer Vehicles. 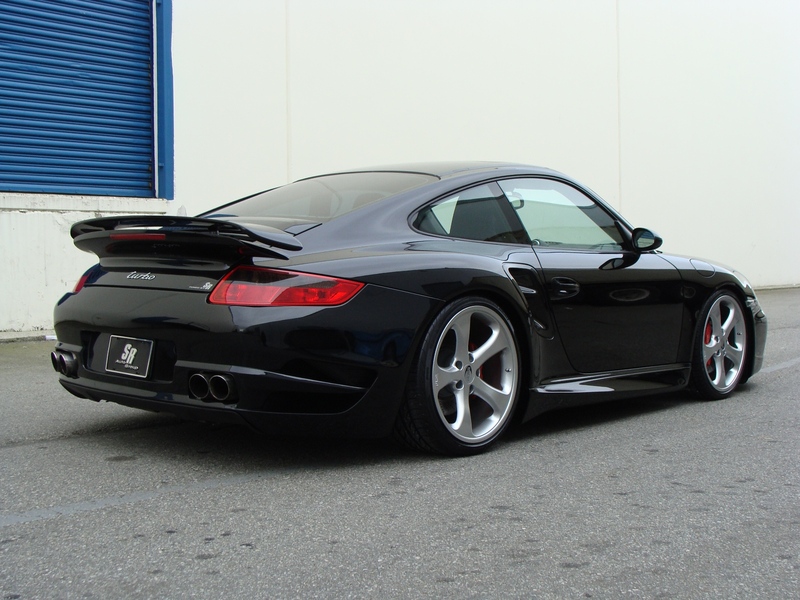 This Porsche 997 (911 for you older Porsche Fans) is the cleanest example of what European Tuning is all about. No huge body kits, wheels that should be on an Escalade, just clean lines with a kick in the pants to boot. Power and Style is what this Teutonic Terror is all about and we have a full story from start to finish this month. Read More Here. If you are a Porsche Fan like I am, get ready to find out what goes into creating a stock 997 Turbo into this sleek monster. The Team at SR Auto Group are here to answer any questions in the forums in regards to parts used and as per usual the Team at C-Speed are here to give you How-To Article is you want to do it all yourself because nobody knows your vehicle better than you do. What would C-Speedracing be without our amazing HOW-To Articles? Thousands of visitors a month visit our site to find out how to install that supercharger, how to lower the TL, or how to change the clutch and flywheel on their car, whether it be a Porsche 996 or an Acura NSX. This is what makes us the top How-To site on the internet! This month we have added over 10 new How-To Articles in the How-To Section. Topics discussed are the Acura NSX, Acura TL Type-S, more Porsche Tech and a special section on our Mercedes Tow Vehicle, the ML. If you do not see what you are looking for, just ask. No task is too big or small for us and we love to help. If you have your own HOW-To articles and want to publish them here, we are happy to put them up for you with your name for recognition. Our goal is to combine all the best How-To articles on the internet for everybody to use. We do not discriminate on vehicle makes or models so join us, link to us or just use us. That is what we are here for! Which brings us to the most exciting news of all! The Team at C-Speed Racing decided that we needed to move forward again and help make a new forum site for our users in the Pacific Northwest and all of Canada. 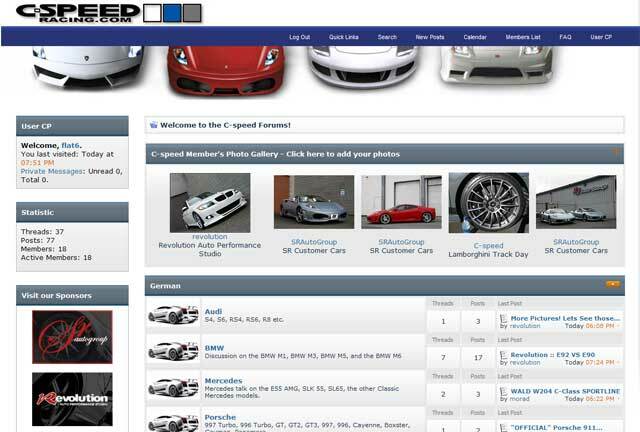 After much debate on what to call our new site, we decided to revive two of our older sites, the C-Speedracing Tech Forums and the Import Classifieds Discussion forums. We are not taking this lightly however, we have enlisted the help of many top Tuning Shops and Luxury Automotive Boutiques to create the most exciting forum structure to date. Focusing on elite automobiles such as Porsche, Lamborghini, Ferrari and the like, we are giving our readers an idea of what we like in the Northwest region. A forum we can call our own, with our own cars to show off to the world. We have amazing people that have been around for decades ready to help and give you ideas for your car or tech to build your car exactly how you want it. 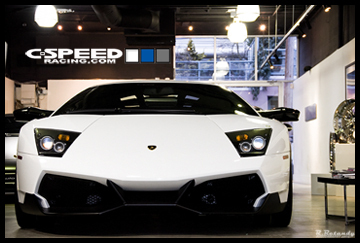 This is the only way we know how to do it, this is C-Speed Racing.